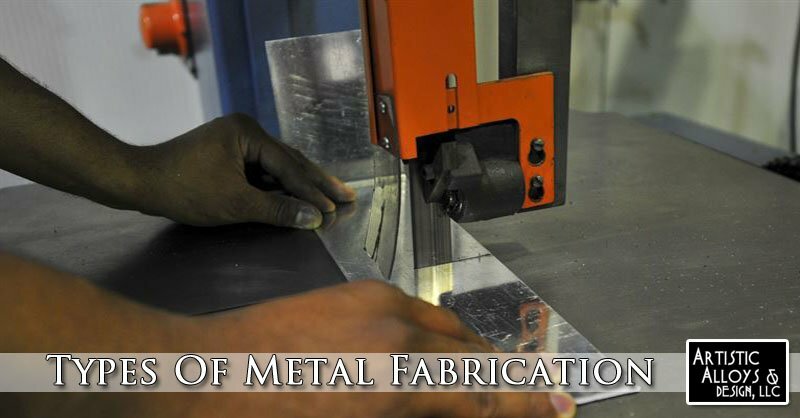 If you are searching for the different “types of fabrication“, this post should help! You may be interested as to what the various types are. Keep reading to learn more. Folding: There are some parts that will need to be bent. A common method for this is using a press brake. It uses a set of dies that will pinch the metal to create a fold. This can only be done during certain cases because of the movement of the part and the shape of the dies. However, designing for lean manufacturing can actually help to prevent any complex shapes that will slow down production times. Sometimes when there are two fabrication types being used, or two pieces fastened together will work better than a single piece that is complicated. Cutting: There are a lot of ways to cut things today. The old way was a saw. Now cutting can include lasers, water jets, and plasma torches. There is actually a wide range of price and complexity, with some machines costing millions of dollars. Punching: This where a punch and die will create a scissor effect on metal pieces to create a hole. Yes, the die and punch need to be the same type of size and shape of the desired hole. There are some cases where the main piece of material will be kept, such as when a hole is added for a fastener. Then there are some cases where the piece that happens to be removed is the product wanted which is called blanking. Machining: This is where metal is removed from material. It could be done using a lathe, which is where the material will rotate on a cutting tool or a cutting machine where the tool is moved in different ways against a stationary part. Drills are part of this category. The range of motion of cutting heads will be defined by the number of axes. Welding: This is where two pieces of metal are joined together. Different welding types do exist for various applications and metals types that are used in manufacturing. Stamping: This is similar to punching, except the metal isn’t cut. The die has been shaped to make a raised metal part instead of cutting it. Shearing: This is a process that is used to make a long cut on metal. It is just like paper cutters with long handles. This is often done on sheet metal. There are a lot of fabrication processes that are not as common as the ones above. There are even new types being developed daily.One type is referred to as additive technology. This is where a machine will layer materials in order to create parts. It is almost like a 3D printer that prints plastic or other material types. The fabrication processes are often well matched for lean fabrication. The interaction from operators, their motion, and the need to manage their inventory is right up the power alley. The fabrication processes are often best for implementing autonomation and auto ejector devices. Both of the devices are part of the load-load line. However, there is an area where lean fabrication can really struggle. Some of the really large machines are better matched to the products that are being made. Far too many large machines have a long changeover time which drives up inventory and promotes overproduction for manufacturing. It’s best to use right sized machines and then put them in specific lines if it is possible. That will help to create flow. One of the biggest issues for the flow of fabrication is the multifunction, large machines that take a bit to change between parts. This drives up the size to create inventory. It also means that the machine can be used to produce various parts for different product lines. Deciding where it should be placed can be an issue. If you decide to include it in one line, even on the biggest line, it can be an issue with other lines. The thing to do in this case is to reduce changeover time so that the machine doesn’t run large amounts of parts. It is at that point that you can reduce the inventory amount that the machine has created. The second thing to do is to move away from purchasing expensive and large machines when a dedicated, smaller one will work. In most cases, small machines can be automated with auto eject and autonomation to make them efficient just like large machines. Another challenge with linking the assembly and fabrication processes happens to be the process for painting. In some cases, the parts will leave fabrication to be shipped for painting or it goes to the paint center. In each case, the whole flow has been disrupted, and the delays causes more inventory. Using the CI tools that you have can minimize the impact, reduces changeover time, reduces the cure time, makes smaller batches, go into smaller and dedicated paint booths. You need to do what you can to keep the flow. Artistic Alloys & Design LLC offers metal fabrication services in Phoenix, Tempe & Scottsdale. Feel free to contact with any type or residential or commercial fabrication project you have.